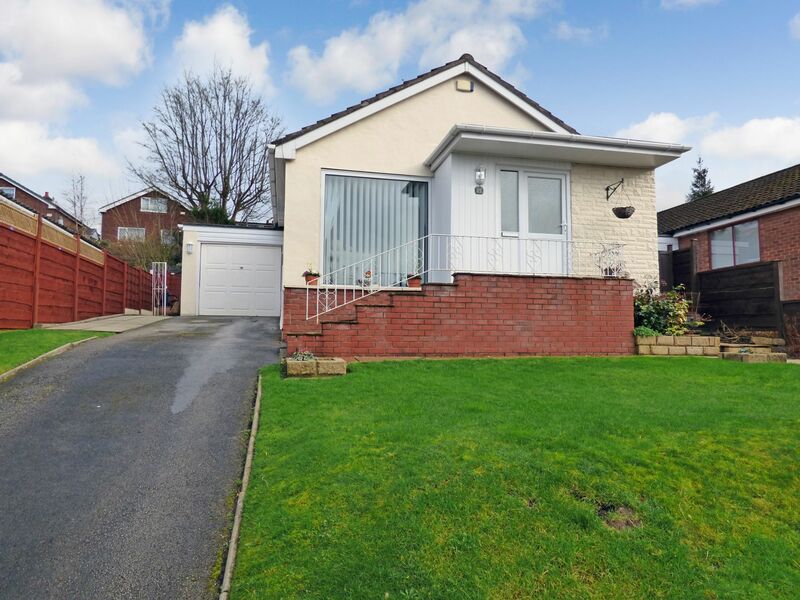 We are pleased to offer for sale this 2 bedroom detached bungalow which has been updated and improved to a high standard. The bungalow is situated in a popular residential area and is conveniently located for Marple Bridge Centre, junior and primary schools, bus and train transport along with open countryside. Briefly the accommodation comprises of entrance hallway, good sized lounge, well fitted breakfast kitchen, conservatory, 2 double bedrooms, modern bath/wc with shower cubicle. Advantages include, combi gas central heating, uPVC double glazing, garage and parking for upto 3 cards. There are gardens to the front and rear of the property. with uPVC double glazed door to front elevation, double radiator, built in cloak cupboard, uPVC double glazed window to side elevation, telephone point, power points. with feature Cotswold stone effect fireplace with gas coal effect living flame fire, wired for wall lights, uPVC double glazed floor/ceiling window to front elevation, double radiator, built in broom cupboard, power points, gas point, TV aerial, cornice to ceiling. with a range of quality base, wall and drawer units, working surfaces, inset 1 1/2 bowl stainless steel sink unit, matching centre island with breakfast bar, part tiled walls to working areas, built in Bush oven, built in Hotpoint ceramic hob, extractor fan , uPVC double glazed side window and door, power points, cornice to ceiling, double radiator. with French doors leading to conservatory, double radiator, cornice to ceiling, power points. with uPVC double glazed window to rear elevation, double radiator, power points, cornice to ceiling. uPVC double glazed windows and double door opening into rear garden, double radiator, power points. with 3 piece white suite comprising of shower cubicle, pedestal wash basin, low level suite, tiled walls, frosted uPVC double glazed window, towel rail, radiator. with cold water tap, security lighting and garden shed. 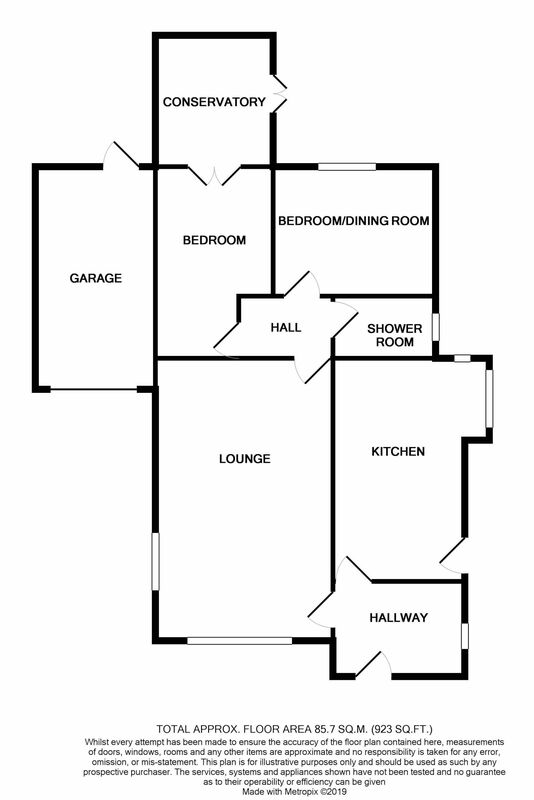 with up and over door, lighting and power, rear door, water tap, Heat Line combi boiler. with parking for upto 3 cars. Well managed gardens to the front and rear with lawns, flower beds, patio and established boundary hedges, pathways to both sides of the property.